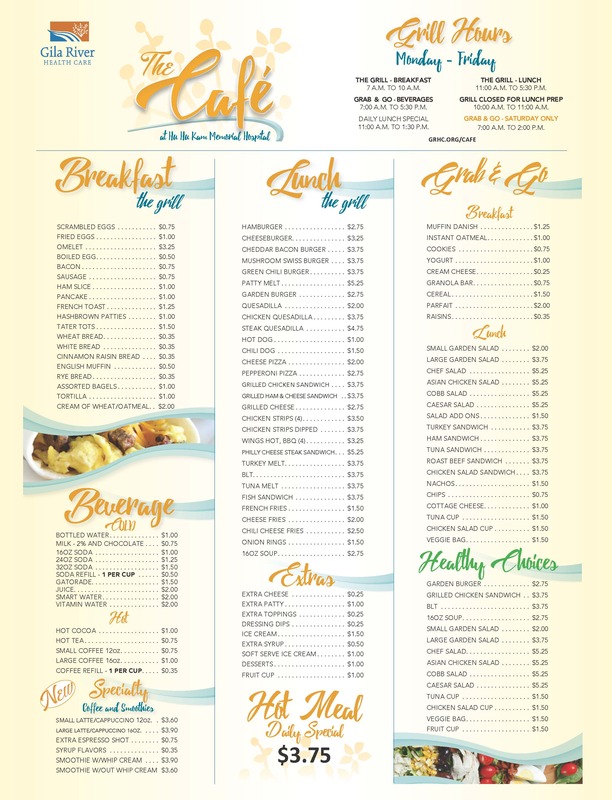 The Café offers a range of nutritious and delicious breakfast and lunch options for the public and employees. *NEW* Want to place an order? Click here! Download the App – watch instructions here! 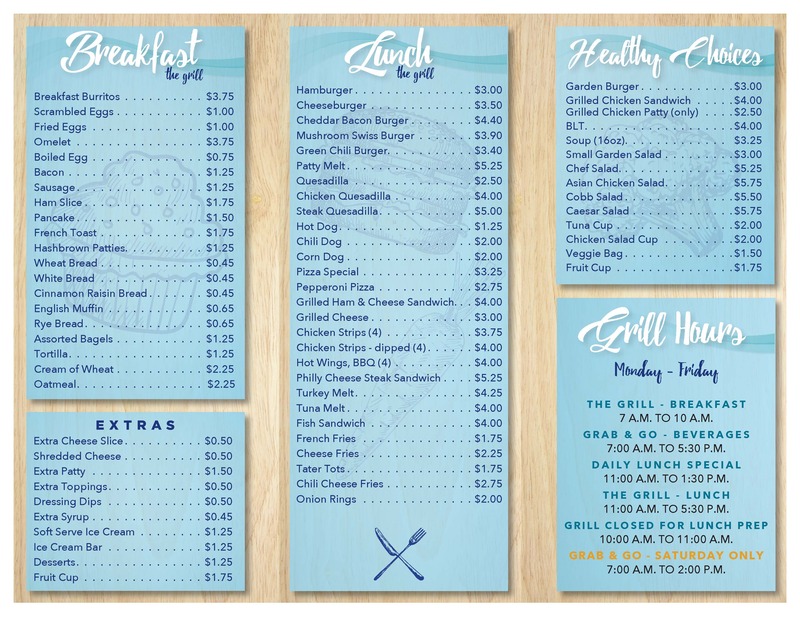 Would you like to keep a printed menu handy? Print the brochure version! Click here to open. Would you like to keep one handy? 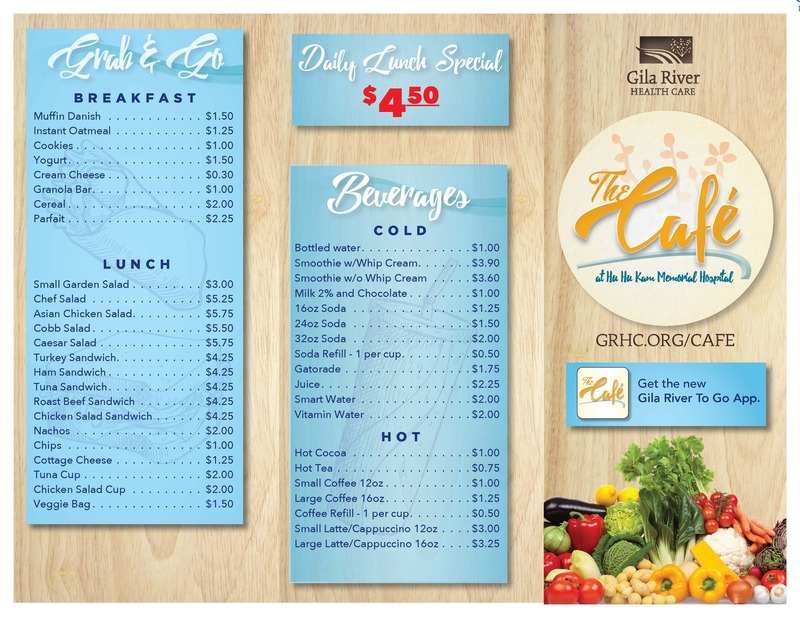 Print the brochure version! Click here to open.